Tuesday night is the next Presidential debate. Will you be watching? 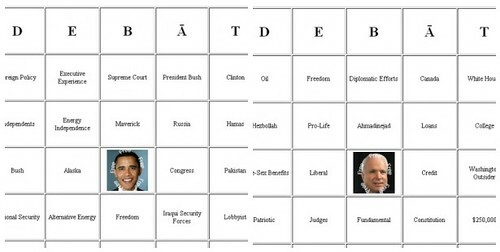 I know I will be watching while playing Bingo II – Revenge of the Debate. Please stop on by and get your Debate Bingo cards to play along. Be sure to let everyone know about it so they can have some fun as well. « Get ready for debate bingo! Looks like fun! Nothing better than buzzword bingo! lol!